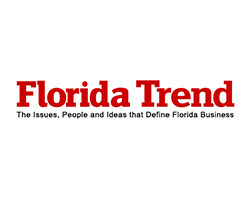 Eleven South receives Golden Spoon Award by Florida Trend. The trends that defined the state’s restaurant industry this year included continuing challenges for well established white-tablecloth temples and big chains. Meanwhile, smaller, younger operations with more casual formats, featuring star chefs both home grown and imported, grew rapidly. In terms of featured dishes, 2016 was the year of hummus, short ribs, quinoa, carrots, poutine, craft Manhattans and acai. Octopus emerged as a star — roasted, grilled, pickled and artfully sliced for sashimi. The big cephalopod, in fact, may be a perfect metaphor for the many-tentacled projects of restaurant groups, brand names and celebrity chefs who reached out to grab new markets across Florida and beyond.